As an intermediate skier, you’re lucky enough to have mastered the basics and should already have some confidence in your abilities. 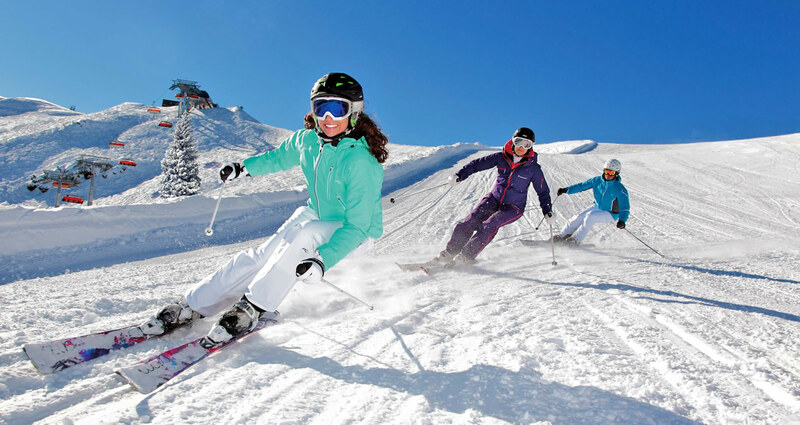 You’ve acquired a great level of skills since that first time you put on a pair of skis and a number of more challenging slopes are now within your reach. 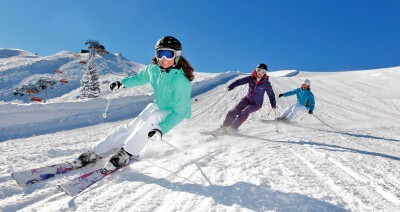 There are a numerous ski destinations that are suited to intermediate skiers. To decide which one to opt for, it’s a good idea to establish what kind of terrains you would like to tackle. And to do that, you need to know where exactly your current level of skills lie. The definitions of what makes you an intermediate are varied. Not quite beginner, not quite advanced, being on this level carries a spectrum of abilities in itself. With that in mind, it seems like most people agree on certain aspects that should be mastered to be considered an intermediate skier. At the one side of the spectrum, there are cautious intermediate skiers who mostly make use of green trails or simple blue ones, and are still wary of speeding up. Skiers at this stage are usually able to do turns in smoother ‘S’ (rather than ‘Z’) movements. Moreover, skis can also mostly be kept parallel at the end of a turn. However, red and black trails still seem daunting and uncrowded slopes are more comfortable. 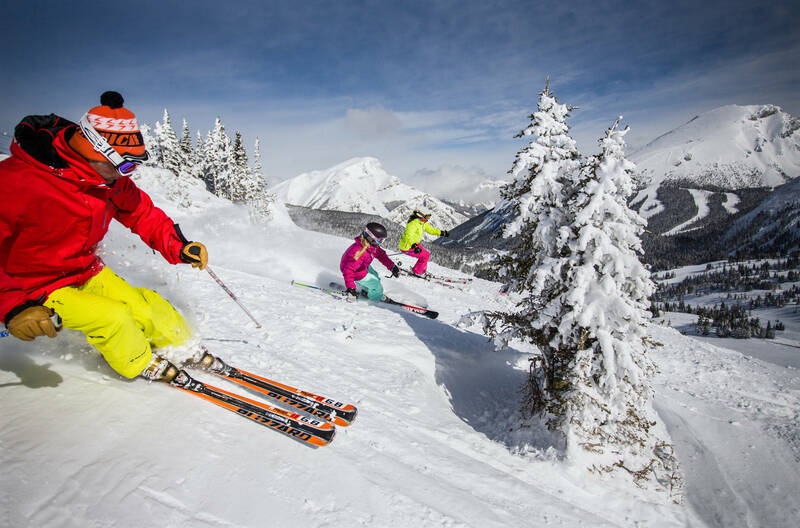 On the other side of the spectrum, there are skiers who are willing and able to tackle blue and red trails and may even have tried their hand at easy black ones – as long as the runs aren’t too steep or uneven. At this level, you’ll most likely be comfortable with on-piste slopes but have yet to conquer off-piste zones. Are ski lessons still necessary for intermediates? 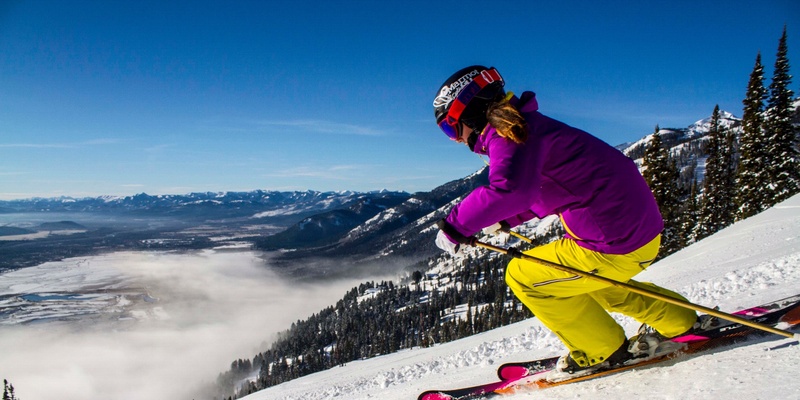 These are not just advised for beginners, but remain beneficial for skiers at all levels. Apart from the fact that you can get some expert advice on how to improve your technique, these lessons also provide a great refresher and can help keep you on track towards greatness. Whichever type of intermediate you are, it’s important to pick a destination that will challenge you enough to go to the next level, along with falling within the range of your specific abilities to avoid frustration. So have a look at what we have available and get ready to step it up a notch at one of these highly acclaimed resorts.